For the last 5 years we have reviewed, revised and revitalised the EMCC blog and podcast lists. 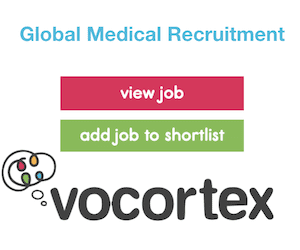 It is a great way to add new sources, marvel at the global collaboration and wealth of educational resources in the #FOAMed blogosphere. It is also useful to analyse the trends in the use of social media, and blogging platforms. I am not sure exactly why there are so many EMCC blogs in existence, or why they are appearing with such rapidity. Maybe it is because a lot of our work is frontline, public, diverse and altruistic that there are so many stories and so many educational resources being shared freely and without reservation using the language of FOAM. 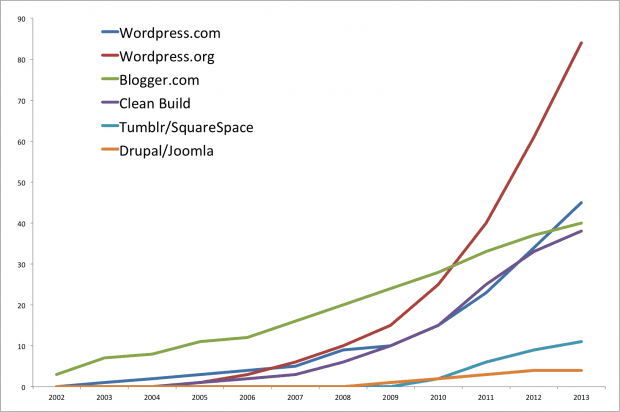 WordPress.org has become the blogging platform of choice being used by 42% of EMCC bloggers. 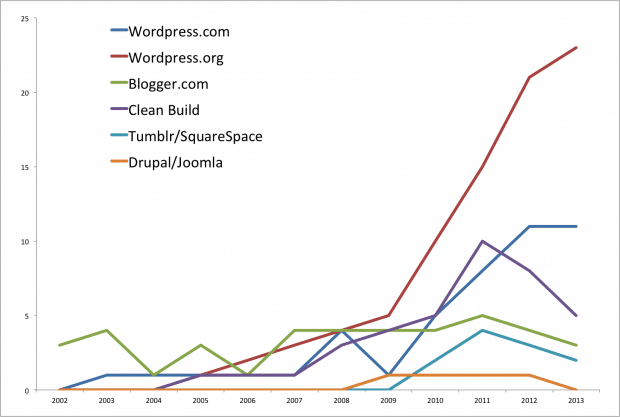 Interestingly 14 blogs have changed from Blogger.com to WordPress.org over the last 6 months. 10 blogs are no longer accessible and have been removed from the list.